The Made in Georgia movement is sweeping across the state, and consumers are checking out http://www.BuyFromGeorgia.com to find products they can purchase for the holidays. Studies show that there are currently 606 million products on Amazon, and this website was created to educate people on products that are made in our state. The http://www.BuyFromGA.com website features 100s of items that are manufactured in Georgia that consumers can purchase using their Amazon account. 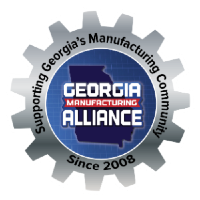 This site was developed by the Georgia Manufacturing Alliance who is on a mission to educate people about what is made in their community and the impact those goods have on their local economy.